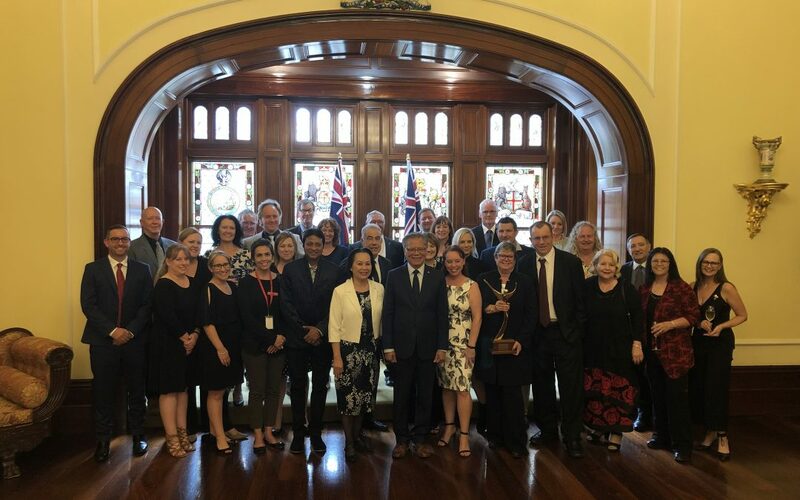 South Australia’s most outstanding tourism businesses have been honoured with a reception hosted by His Excellency the Honourable Hieu Van Le AC, Governor of South Australia. The reception held at Government House celebrated over 30 state and nine national tourism award winners. Tourism Industry Council South Australia (TiCSA) Chief Executive Officer Shaun de Bruyn said the reception is a great way to acknowledge our award winners and their contribution to the visitor economy. “The standards for achieving a tourism award at both a state and national level are extremely high, representing the passion and hard work delivered by our dedicated tourism operators,” said Mr de Bruyn. The Frames Luxury Accommodation was recently inducted into the Australian Tourism Awards Hall of Fame after winning the Self Contained Accommodation category for the third consecutive year at the 2018 Qantas Australian Tourism Awards. The Frames are the second South Australian business to be inducted into the Australian Tourism Awards Hall of Fame since 1993, with Murraylands Tourism Marketing inducted in 2005. Proud Mary and the Adelaide Hills Convention Centre were also crowned best in their categories. In addition, six South Australian businesses were awarded silver and bronze medals. His Excellency the Governor said the award winners set a very high benchmark that all South Australian providers can aspire to reach. “I congratulate them for creating so many wonderful products and experiences to be enjoyed by all tourists,” His Excellency the Governor said. “The winners have helped to create opportunities for us all to forge crucial people-to-people connections with visitors from around the world. Nominations are now open for the 2019 South Australian Tourism Awards. “The South Australian Tourism Awards provide a valuable opportunity for operators to be recognised for their commitment to delivering exceptional visitor experiences and best business practice,” said Mr de Bruyn. Nominations close on Monday, 24 June with submissions due on Monday, 12 August. For more information, visit www.satourismawards.com.au. A group image from the reception is available at http://bit.ly/2U527GQ. For all media enquiries, please contact TiCSA’s Communications Coordinator Emily Sharpe-Hall on (08) 8110 0123 or email emily@ticsa.com.au.